The Witcher 3: Wild Hunt is a RPG game produced by CD Projekt RED that tells the adventures of Geralt of Rivia in search of Ciri character. Since the launch, the game has received a number of DLCs including the upcoming New Game Plus mode. Check out the full list of additional packages of The Witcher 3. Still no release date set, the New Game Plus is a full plate for those who completed the adventure and want another dose of The Witcher. In it, you can start the campaign with attributes such as experience and money, the character possessed at the end of gambling. With the ability to choose a new difficulty, players can still make the redistribution of attributes. Usable items like decks of cards and Gwent will disappear, and this requires Geralt to battle in search of his belongings. Apart from the dozens of missions of the main campaign of The Witcher 3, players can also enjoy the free inclusion of new adventures in the game, released separately. A total of five additional tasks that can be downloaded for free. Among them are the mysterious "Where the Cats and Wolves play ..." and "Fool's Gold"; the exciting hunt "Tradition of Witches" and contracts "Most Wanted of Skellige" and Miners Missing ". Packages of various items to the game, sets add a lot of armor, weapons, accessories and even letters to the fun card game Gwent. There are six DLCs available for free in digital stores. "Temeriana Armor Set," "Nilfgaardiana Armor set" and "Skellige armor set" unlock exclusive items to Geralt, including chest, gloves, boots and even equipment for your horse. The package "Elite Crossbow Set" strengthens the long-distance attacks, characters with new weapons. 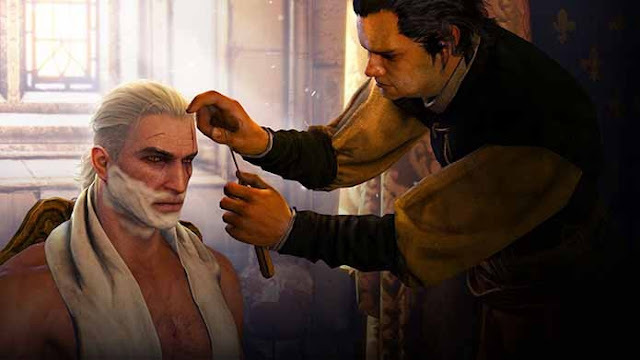 Additional content "Ballad of Heroes" enables more cards to the Gwent as "Beard and Hair Style" allows players to change the look of Geralt with various combinations of hair and beard cuts. In addition to Geralt, other important characters of the plot were also presented with dedicated DLCs. This is the case of Ciri, Triss and Yennefer, who received alternate costumes. Once downloaded and installed, the packages completely alter the look of the girls. The three DLCs have been made available separately, and the download is free for owners of the game. Another nice addition to the RPG CD Projekt RED was the arrival of a DLC with new finishing animations. With it, Geralt exudes skill with the blade to defeat enemies with brutal blows and up there in flashy. The Expansion Pass is also one of the stars among the DLCs of The Witcher 3, it ensures unlimited access to any and all content released for the title.